"We use 5% to 10% of all the data we produce. It is insufficient. To improve our industrial processes, we need artificial intelligence engineers," says Pascal Bugnon, AI manufacturing manager at Syngenta. On the basis of this observation, the company decided to recruit its student who has joined the master in artificial intelligence integrated within a company. The company will be able to acquire the most advanced skills in this field. 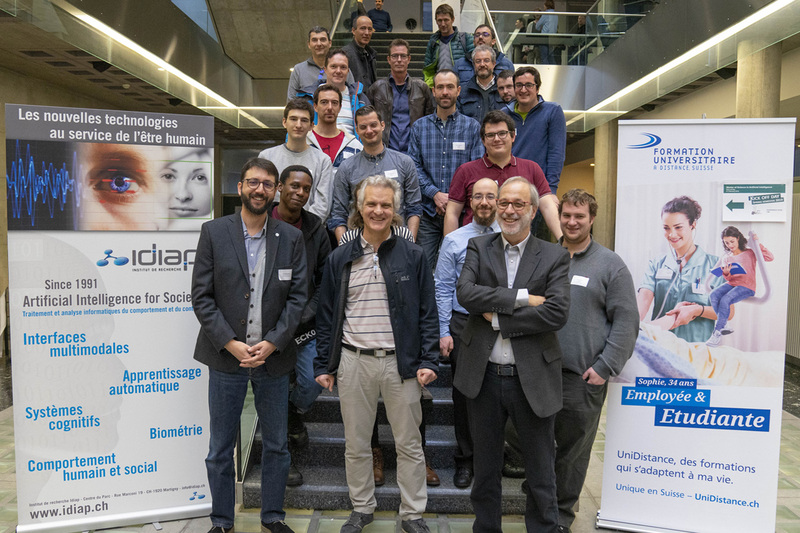 "If you don’t want to stay behind, you have to be able to be a visionary," explains Hervé Bourlard, director of the Idiap Research Institute and head of the master's program. It's as much of a challenge as it is an opportunity for students learning on the job, companies that hire the person who will become their Artificial Intelligence Specialist, and for the collaboration between Idiap and Swiss Distance University as researchers and teachers." From start-ups to multinationals, the challenge is motivating many companies. 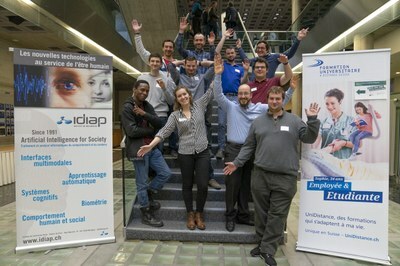 For this first session, no less than 8 companies have set up a partnership with Idiap to join the master's program. Several others postponed their participation to the next session because they could not hire a student who met their needs. There are not enough candidates able to integrate the master. Those selected come from Switzerland, France and even the USA. They will be sure to get high value-added positions, at the heart of their company's strategy, while being directly employed by the company for which they are training. A unique opportunity. Why would a company partner a master's degree in artificial intelligence? "It's better, faster and most importantly it allows us to internalize our needs in artificial intelligence through this integrated concept," says Jean-Luc Affaticati CEO of DigitArena. "We knew the value of Idiap's know-how, so we did not hesitate," he adds. 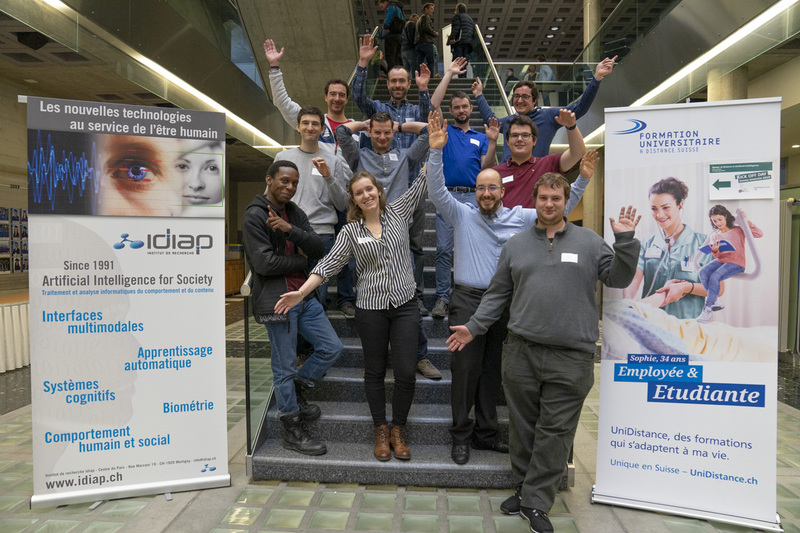 This new model of academic training inspired by the Swiss apprenticeship system was born in Valais, not only thanks to the presence of Idiap, but especially thanks to the support of UniDistance which is the only Swiss university to deliver all its diplomas via online courses and thanks to the support of the State of Valais which saw the potential of the program for the industries of the canton. The concept appealed to student-employee Neil Clarke. Holder of an American bachelor's degree in computer science, he wanted to specialize in doing a master's degree. He was considering different options, for example in the US. 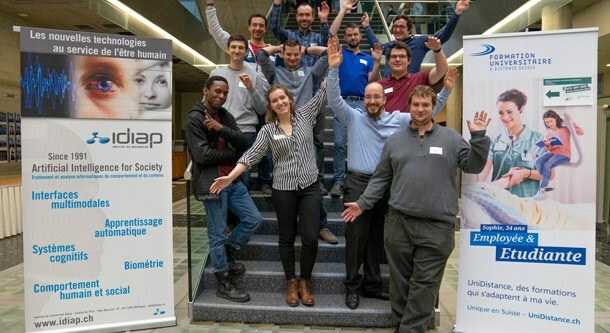 This training was a tailor-made opportunity for him: “I specialize in artificial intelligence within my company.” The formula meets the needs of both companies and students alike.